Beautiful teeth with Arcadia cosmetic dentistry at Savithri P. Ravindran, D.D.S can change your life both socially and professionally. If you have gaps between your teeth, unattractive teeth, a broken tooth or other cosmetic problems, our dental team can help. We have extensive experience with natural-looking crowns, porcelain veneers, bridges and other state-of-the-art techniques. You'll feel wonderful having a natural new smile that sparkles. Set up your exam today with Arcadia cosmetic dentist Dr. Savithri Ravindran by phoning our friendly staff at (626) 445-0678 or by using our web form. And please feel free to call us if you have any questions. We want you to have the stunning, healthy teeth that will make you smile again! Dr. Savithri Ravindran and her friendly team are committed to helping your receive the personalized cosmetic dentistry care you need. At Savithri P. Ravindran, D.D.S our staff is trained in the latest techniques. 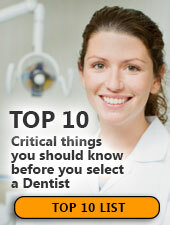 If you need to find a dentist contact us at (855) 516-7289 for a map, office hours and directions. We're looking forward to helping your learn about your options for affordable cosmetic dentistry.